Are you shopping for a new Kia SUV or van? With the help of the staff here at Kendall Kia, we can work with you to find a new Kia van or SUV that fits your budget and needs. We have a large selection of new Kia vehicles available to our customers in the Meridian, Kuna, and Boise areas. 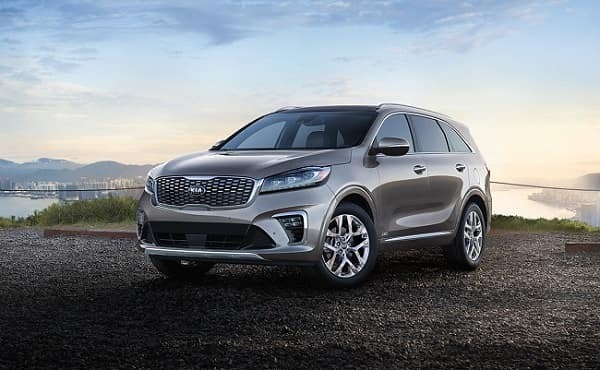 Check out popular models, including the new Kia Sportage, Kia Sedona, and Kia Niro. Learn more about these vehicles and other Kia services at Kendall Kia by contacting our sales team! Contact us online to see how we can help you get behind the wheel of the perfect Kia SUV for you. We look forward to hearing from you and helping you during your next visit to our Nampa Kia dealership. We’re sure you’ll find the new Kia SUV you love at Kendall Kia. You’ll love shopping our large selection of new Kia SUVs for sale in Nampa to find what fits best you. We’re sure you’ll love the feel of the sleek and sophisticated Kia Soul. Looking for something a little bigger? The Kia Sorento has the cargo space and power to go with interior comfort of seven seats to make your next weekend getaway a memorable one. Kia SUVs have the cargo space, technology, and on-road performance to power you through every week into the weekend. Come by our Kia dealership today at 15700 N. Idaho Center Blvd. Nampa, Idaho 83687 and we’ll help you find the new Kia van or SUV to fit your everyday drive.